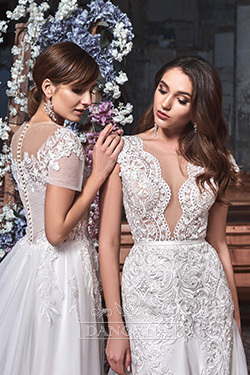 An incredibly lightweight, weightless image creates a chiffon dress of A-line silhouette for brides who love to be original and unique. The dress is decorated with natural lace. The beautiful removable sleeves successfully complement the image.